Ideology is present to such an extent in all the agents' activities that it becomes indistinguishable from their lived experience. ... Ideology ... is therefore necessarily false; its social function is not to give agents a true knowledge of the social structure but simply to insert them as it were into their practical activities. ... At the level of experience the social whole remains opaque to the agents. ... As opposed to science ideology has the precise function of hiding the real contradictions and of reconstituting on an imaginary level a relatively coherent discourse which serves as the horizon of agents' experience. If you do not resist the apparently inevitable, you will never know how inevitable the inevitable was. 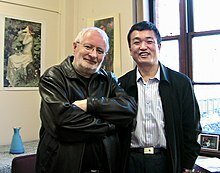 Terry Eagleton FBA (born February 22, 1943) is a British literary theorist, critic and philosopher, who is regarded as one of the United Kingdom's most influential living literary critics. Eagleton is currently Distinguished Professor of English Literature at Lancaster University, and as a former Visiting Professor at the National University of Ireland. Deconstruction... insists not that truth is illusory but that it is institutional. If the masses are not thrown a few novels, they may react by throwing up a few barricades. All consciousness is consciousness of something: in thinking I am aware that my thought is 'pointing towards' some object. The present is only understandable through the past, with which it forms a living continuity; and the past is always grasped from our own partial viewpoint within the present. Literary texts do not exist on bookshelves: they are processes of signification materialized only in the practice of reading. For literature to happen, the reader is quite as vital as the author. Reading is not a straightforward linear movement, a merely cumulative affair: our initial speculations generate a frame of reference within which to interpret what comes next, but what comes next may retrospectively transform our original understanding, highlighting some features of it and backgrounding others. It is difficult to think of an origin without wanting to go back beyond it. If we were not called upon to work in order to survive, we might simply lie around all day doing nothing. Schizophrenic language has in this sense an interesting resemblance to poetry. All desire springs from a lack, which it strives continually to fill. Language always pre-exists us: it is always already 'in place', waiting to assign us our places within it. Any attempt to define literary theory in terms of a distinctive method is doomed to failure. All propaganda or popularization involves a putting of the complex into the simple, but such a move is instantly deconstructive. For if the complex can be put into the simple, then it cannot be as complex as it seemed in the first place; and if the simple can be an adequate medium of such complexity, then it cannot after all be as simple as all that. Readers are less and less seen as mere non-writers, the subhuman “other” or flawed derivative of the author; the lack of a pen is no longer a shameful mark of secondary status but a positively enabling space, just as within every writer can be seen to lurk, as a repressed but contaminating antithesis, a reader. It is silly to call fat people “gravitationally challenged”, a self-righteous fetishism of language which is no more than a symptom of political frustration. Post-structuralism is among other things a kind of theoretical hangover from the failed uprising of ‘68, a way of keeping the revolution warm at the level of language, blending the euphoric libertarianism of that moment with the stoical melancholia of its aftermath. Ideology is present to such an extent in all the agents' activities that it becomes indistinguishable from their lived experience. Ideology ... is therefore necessarily false; its social function is not to give agents a true knowledge of the social structure but simply to insert them as it were into their practical activities. At the level of experience the social whole remains opaque to the agents. As opposed to science ideology has the precise function of hiding the real contradictions and of reconstituting on an imaginary level a relatively coherent discourse which serves as the horizon of agents' experience. What persuades men and women to mistake each other from time to time for gods or vermin is ideology. One can understand well enough how human beings may struggle and murder for good material reasons—reasons connected, for instance, with their physical survival. It is much harder to grasp how they may come to do so in the name of something as apparently abstract as ideas. Yet ideas are what men and women live by, and will occasionally die for. It is important to see that, in the critique of ideology, only those interventions will work which make sense to the mystified subject itself. "What perished in the Soviet Union was Marxist only in the sense that the Inquisition was Christian"
"Cultural theory as we have it promises to grapple with some fundamental problems, but on the whole fails to deliver. It has been shamefaced about morality and metaphysics, embarrassed about love, biology, religion and revolution, largely silent about evil, reticent about death and suffering, dogmatic about essences, universals and foundations, and superficial about truth, objectivity and disinterestedness. This, on any estimate, is rather a large slice of human existence to fall down on. It is also, as we have suggested before, rather an awkward moment in history to find oneself with little or nothing to say about such fundamental questions." "In some traditionalist universities not long ago, you could not research on authors who were still alive. This was a great incentive to slip a knife between their ribs one foggy evening, or a remarkable test of patience if your chosen novelist was in rude health and only 34". After all, if you do not resist the apparently inevitable, you will never know how inevitable the inevitable was. We face a probable future of nuclear-armed states warring over a scarcity of resources; and that scarcity is largely the consequence of capitalism itself. For the first time in history, our prevailing form of life has the power not simply to breed racism and spread cultural cretinism, drive us into war or herd us into labour camps, but to wipe us from the planet. Capitalism will behave antisocially if it is profitable for it to do so, and that can now mean human devastation on an unimaginable scale. What used to be apocalyptic fantasy is today no more than sober realism. The traditional leftist slogan ‘‘Socialism or barbarism’’ was never more grimly apposite. Modern capitalist nations are the fruit of a history of slavery, genocide, violence and exploitation every bit as abhorrent as Mao's China or Stalin's Soviet Union. History works itself out by an inevitable internal logic. It is capitalism, not Marxism, that trades in futures. The truth is that the past exists no more than the future, even though it feels as though it does. There seems to be something in humanity which will not bow meekly to the insolence of power. The most compelling confirmation of Marx's theory of history is late capitalist society. There is a sense in which this case is becoming truer as time passes. Ivory towers are as rare as bowling alleys in tribal cultures. When it comes to who exactly should be exploited, the system is admirably egalitarian. Capitalism cannot survive without a working class, while the working class can flourish a lot more freely without capitalism. Socialism is the completion of democracy, not the negation of it. Capitalism is the sorcerer's apprentice: it has summoned up powers which have spun wildly out of control and now threaten to destroy us. The task of socialism is not to spur on those powers but to bring them under rational human control. Like most academic Marxists, Professor Eagleton knows that, put baldly, the doctrine of economic determinism is patently absurd. So he employs various gambits to soften or conceal the absurdity, without ever really denying the basic model of economic determinism. This is not to say that he is completely free of "vulgar Marxist" rhetoric; indeed, he sometimes sounds like nothing so much as a soapbox Marxist, railing (for example) against "a petty bourgeois liberal humanism, academically dispossessed and subordinated yet in intellectual terms increasingly hegemonic, [which] occupied the bastions of reactionary criticism from within as a dissentient bloc." Yet Professor Eagleton also takes great pains to distance himself from "vulgar Marxism"—the phrase occurs often in his works, always in his beloved scare quotes. The vulgar Marxist is a frank economic determinist and holds that the "superstructure" is a more or less direct reflection of economic processes. The sophisticated Marxist, well schooled in the writings of the Frankfurt School Marxists, allows that the superstructure is "relatively autonomous"—except when he wants to claim economic determination for some phenomenon of his own choosing. The "vulgar Marxist" is frankly Utopian and looks forward to the revolution and the establishment of a workers' paradise; a sophisticated Marxist like Professor Eagleton dandifies his utopianism with lots of high-flown rhetoric. "Once emancipated from material scarcity, liberated from labour," he writes in a typically starry-eyed passage, "[men] will live in the play of the mutual significations, move in the ceaseless 'excess' of freedom." Professor Eagleton's primary weapons against the charge of vulgar Marxism are words like "hegemony," "ideology," and "aesthetic," all of which in his hands have the wonderful property of meaning any of about six different and conflicting things. Perhaps you thought that George Eliot was the author of Middlemarch. No: according to Professor Eagleton, the phrase “George Eliot” signifies nothing more than the insertion of certain specific ideological determinations -- Evangelical Christianity, rural organicism, incipient feminism, petty-bourgeois moralism–into a hegemonic ideological formation which is partly supported, partly embarrassed by their presence. Similarly, he tells us that Henry James, like Joseph Conrad, “is . . . no more than a particular name for . . . an aspect of the crisis of nineteenth-century realism.” The idea is to downgrade the notion of individual genius, as if George Eliot’s personal contribution to the writing of Middlemarch were somehow accidental, the more important thing being the “specific ideological determinations” she embodied. The main point of all this is that nothing is what it seems; or, as Professor Eagleton puts it in Criticism and Ideology, “there is no ‘immanent’ value”: everything in the realm of culture is determined by something outside culture–namely (catch that whiff of vulgarity?) the oppressive economic relations of capitalism. Roger Kimball, summarizing and objecting to Eagleton's assessments, in "Was Jesus Christ a Palestinian insurgent?" (2007); ellipses are Kimball's. Terry Eagleton is a deft, witty summarizer of other people's ideas. Applied Marxism is, oddly, his weakest point. He also goes limply soft on academic feminism, whose bourgeois prudery, moralism, and Protestant word-fetishism he does not see. Eagleton'e thought-provoking arguments against the [literary] canon are unfortunately vitiated by the fact that he seems to have little feeling for art. 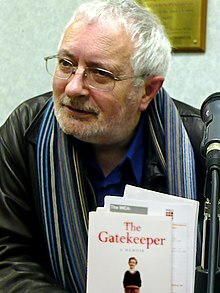 Is education to be gutted merely because Terry Eagleton wandered into a profession for which he discovered too late that he had minimal talent? Like Foucault, Eagleton continues to push into one new field after another, restlessly searching for success in something. I think that the favorable expository literature on Žižek deepens his isolation [in refusing to answer or recognize criticism]. Consider the way Terry Eagleton quotes Žižek [in a passage from the latter's Did Somebody Say Totalitarianism?] in discussing how the idea of “destiny” can trivialize the understanding of tragedy: “Does not the term ‘tragedy,’ Žižek asks, “at least in its classical sense, still imply the logic of Fate, which is rendered ridiculous apropos the Holocaust? To say that the annihilation of the Jews obeyed a hidden Necessity of Fate is already to gentrify it.” Eagleton then adds, “Žižek is mistaken to assume that tragedy, even classical tragedy, invariably involves fate; but he is right to see that the notion can actually sanitize suffering, and Euripides is unlikely to have demurred.” Why credit Žižek with an insight at all, if one admits that he is wrong in his claim? Who has ever seriously tried to “gentrify” the Holocaust by saying that it probably has to do with one of the gods “More truth in . . . appearance than in . . . reality.” being offended and that it goes to show that we should not try to evade the words of the oracle? [Eagleton's] [g]iving Žižek credit for victory over a straw man prevents engagement with the actual content of his words.